Despite its size and sophistication, the Chinese city of Jianshi smelled like pig dung when the wind was right. Borne on morning breezes from the Bo Sea, the odor rose from suburban pork farms, swept over the Yellow River and permeated the commercial district like a fog. With it came the morning rush hour of bicycles, trucks and beasts of burden converging on Heping Bazaar, the open-air market where one could buy anything from breakfast to a haircut. European tourists emerging from the Hyatt Regency wrinkled their noses before heading for the Bazaar and the huge Laughing Buddha statue on Xiying Road. Usually they didn’t walk; a line of pedicabs waited out front, the drivers wearing English “Bejing Olympics ’08” buttons. On this particular April day, the destination most requested in pidgin Mandarin was the Kite Festival at Changfeng Park. Along the way, the tourists passed the Jianshi Paramilitary Police General Brigade Hospital, which was pleased to treat wealthy foreigners for a surcharge, all services paid up front. The care was excellent, the food passable, and kidney transplants surprisingly easy to acquire. 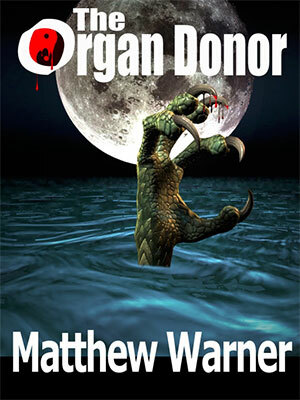 This made it a favorite destination for those tired of waiting lists and uncaring of where the spare organs came from. Behind the hospital, Doctor Li Jun of the Department of Burn and Plastic Surgery knelt in the parking lot and used a screwdriver to remove the license plates from two ambulances and two white sedans. He was dressed in civilian clothes. It was his hundredth time doing this, and for the hundredth time he wished he were anyplace else. Smoking cigarettes and saying little, his colleagues, also dressed plainly, loaded coolers and boxes of surgical equipment into the trunks of the sedans. One of them paused to strip the vehicles’ magnetic hospital logos. Gate guards saluted the convoy as it departed the hospital and turned right onto Xiying Road. The tide of bicycles, pedestrians and honking cars flowed around them like molasses. Silent and forlorn, Jun thought the Laughing Buddha’s smile faded as it dropped behind them. Old men in Changfeng Park looked up from their chessboards to stare. A line of women faltered in their practice of taijiquan’s slow, graceful movements. Did they all sense what errand he was on? Jun wasn’t surprised to see the graffiti. The state-sponsored sign was a leftover from the government’s previous “strike hard” campaign when the focus had been on prosecuting the listed crimes—a task the government did with characteristic efficiency, executing eight hundred people per month. China had an ancient expression, “Killing a chicken to scare the monkeys,” meaning that sometimes people must be singled out and punished as examples. And since monkeys were considered especially mischievous—a lone monkey, in fact, once threatened the entire Chinese mythological pantheon—they required frequent warnings. But the current push was against the Falun Gong, a morality-based meditation and exercise practice that, even at its most questionable, Jun felt, did not deserve execution. The same could be said for some other capital offenses such as bribery and tax fraud. He sighed as he remembered that most of the people he would help mutilate today were Falun Gong teachers. The convoy traveled narrow roads between tightly packed apartment buildings that became narrow roads between tightly packed crop fields. Such was the demand for arable land that the fields didn’t stop at the Luliang Shan foothills farther west; the farmers merely terraced their tracts of vegetables. A farmer’s small house with a smaller courtyard ringed by a bamboo fence stood at the intersection of two asphalt roads. Here, Jun’s sedan turned toward Xinkai Prison and its death-row prisoners. The ambulances and other sedan continued for the execution grounds and crematorium to wait. Jun’s duty was to prep the prisoners for execution. Escorted by a uniformed guard, he walked rapidly down a cramped cellblock with his clipboard and case of hypodermic needles. The guard carried a chair and placed it under him whenever he needed to sit. Instead of bars, each cell had a steel door fitted with a peep slot that the guard slid open to check the prisoner’s location before entering. Always, the prisoner was seated upon the cushionless metal shelf that constituted his bunk, with his hands cuffed behind him and his ankle irons locked into a ring in the floor. Always, Jun retrieved the prisoner’s identification papers from the man’s front pants pocket and matched them to the blue list on his clipboard. Always, the papers listed the prisoner’s name, age, profession, work unit, address and crime. And always, the papers never contained the signed consent form for organ donation. Officially, however, the form was supposed to be there, containing signatures from the prisoner and his family. But in reality, the families never even learned of the execution until after the fact, when they received a jar of ashes and an invoice for the bullets used. Verifying identity at this point was critical—not to the executioners but to the doctors. The blue list was an inventory of the types and numbers of body parts to be harvested from each convict. It needed to be filled precisely because each prisoner had already been tissue-matched with patients at multiple hospitals. Jun had helped draw up this particular list himself on the day Section Chief Liu of the Jianshi Higher People’s Court notified him of the upcoming executions. Usually it paid two to five hundred yuan per cadaver—up to sixty U.S. dollars—depending on the number of prisoners and patients. Sometimes Liu would call later in the day to hint that in exchange for more money, the Court might make more bodies available by speeding up the adjudication of death sentence appeals. After an interim price was agreed, someone would extract tissue samples from the prisoners and compare their human leukocyte antigen fingerprints to patients throughout the fraternal hospital network. Good HLA matches were rare except between relatives, so the goal was to match as many HLA types as possible and then to have immunosuppressive drugs such as cyclosporin-A do the rest. If all went well, the recipient’s body would not reject the foreign tissue. 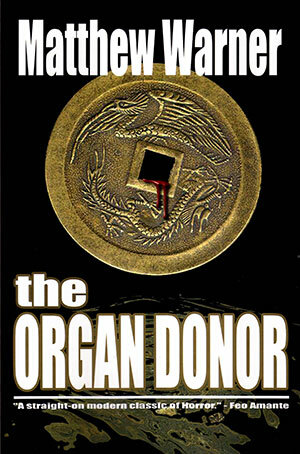 The number of corpses would then be adjusted—usually downward—and Jun would deliver the red envelopes to Liu’s office. No receipts or evidence of the transaction were ever exchanged. Liu, however, was fond of concluding the deal by saying a Cantonese New Year’s expression, “Gon hay fat choi.” Wishing you prosperity. No matter how many times he heard it, at that moment Jun always felt a chill. It brought the entire operation into focus—what they were doing and why. It was never just about giving a burn victim or dialysis patient a second chance at life. The crack of a handgun firing at pointblank range at a prisoner’s head was really the clack of a cash register, starting with the pittance hospitals paid to Section Chief Liu and ending with the fortunes that patients paid to the hospitals. A month ago, Jun had reached his breaking point and sent a letter to hospital director Xing requesting reassignment. A week passed without reply, so Jun left a message with Xing’s secretary. Another week passed. Jun called again. This time Xing answered. At that moment, Jun had imagined that if diulian, losing face, were a physical thing, the nurses passing his desk would see the flesh falling off his skull. But how had Xing learned of his misgivings? He’d revealed them to no one. “You know my reason?” Jun said. Afterwards, Jun had rocked his forehead back and forth on his desk—roll to the left and he was thankful Xing hadn’t divined his true reasons for requesting a job change; roll to the right and he despaired that he’d been refused. The futility of his life now weighed upon Jun’s shoulders as he entered the sixth prison cell of the morning. The invisible clamp of a migraine squeezed his head where his glasses touched his temples. He stopped short when he saw the convict seated upon the bunk. Always, the prisoners waited with their heads bowed and faces expressionless. This one sat up straight, and he was smiling. More startling were his hair and eyes. Although he had the firm facial features of a Han Chinese man in his mid-thirties, this one’s hair was completely white. So was his beard, which he somehow kept neat and closely cropped in the comfortless environment. Razors were forbidden; where had he hidden it? As the guard placed the chair under him, Jun glanced about but saw nothing except the metal cot and the sanitary hole in the floor. Again he stared at the man’s eyes—blue, like a Caucasian’s. This was unheard of in the dark-eyed Chinese unless they wore colored contact lenses, but Jun was sure those weren’t permitted here. This was a rare mutation that now they would never have the opportunity to study. Jun glanced at the list and saw that the corneas were due to be harvested. The freak iris pigment, of course, would have no bearing on corneal quality. Stop it. Don’t think like a butcher. Jun retrieved the convict’s papers and confirmed the name, Shen Mutian, before removing his glasses to massage the bridge of his nose. Usually prisoners responded with a nod or by giving thanks to the government, but Shen said nothing. He only smirked as Jun uncapped a hypodermic. With difficulty, Jun kept his eyes on the prisoner’s arm to hunt for a good vein below the tattoo. He had stopped bothering with alcohol swabs years ago; it was Doctor Xing’s pompous nephew who’d observed that any infection wouldn’t have time to fester. The shot, of course, was not a tranquilizer but a dose of the anticoagulant heparin, which would ease organ extraction. 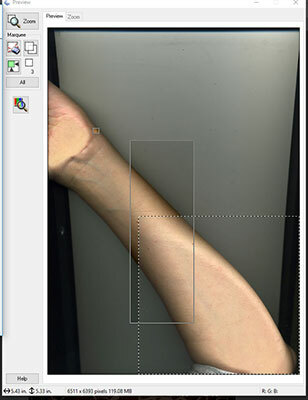 Shen had a muscular arm, so it was easy to find a vein. But this was also bothersome. Unlike in America, Chinese prisons weren’t full of exercise yards and barbells—recreation for the most well-behaved prisoners consisted of mowing a drill field with scissors. Perhaps Shen hadn’t been here long enough to waste away. Depending on the circumstances, the time between a criminal’s arrest and execution could be as short as a month. Or perhaps Liu had passed on the hospital’s complaints about the need for well-fed, healthy bodies. Unsettled, Jun hurried to finish up. He wrote on Shen’s arm where the executioner should aim. For nearly everyone else he wrote “head,” but since Shen’s corneas would be harvested, he wrote “heart.” In this case, though, it was still a tough call since Shen was one of the two prisoners also slated for kidney extraction; he just hoped the shooter didn’t aim too low. He grabbed his clipboard and needles, and got up to leave. The guard took the chair. One step to the door, a sudden wave of queasiness stopped him in his tracks. Eyes bulging, he gasped and doubled over. The guard dropped the chair to support him. Waving him off, Jun placed his clipboard and case of heparin shots on the floor so he could rest his hands on his knees like an athlete. An invisible hand had seized his guts and twisted. His mouth made a series of clicks as it suddenly dried up, and he broke into a sweat. “Need water,” he croaked at the guard, and indicated they should leave the cell. He also had an intense need to urinate. The guard nodded and rushed to remove Jun’s belongings. As Jun stumbled from the cell, holding his crotch, he felt Shen’s eyes on his back. He turned to look at the prisoner just before the guard shut the steel door. “Goodbye,” Shen said, then puckered his lips as if to blow him a kiss. His white hair and beard seemed to glow under the harsh ceiling light. In that instant, Jun was sure that Shen not only knew exactly what had just happened but had somehow caused it to happen. But that was a foolish notion; it crossed his mind and was gone. Trying to swallow in the absence of saliva, Jun glared back at the prisoner before the door cut off their view of each other. As his sedan followed the paddy wagons of prisoners to the execution site, Jun stared at the sky. Why had he gotten sick? A trip to the bathroom and a liter of water later, he’d felt well enough to complete his rounds—but he planned to ask a general surgeon at the hospital to check him out anyway. He took his eyes off the woman and reviewed the blue list once more. Shen, Shen . . . where was he? Ah. Shen Mutian, age thirty-six. Profession listed as a Falun Gong “tutor.” Extract ulna bone of right arm, three hundred square centimeters of skin, both kidneys and corneas. Transplant to Doctor Wang’s patients 414 and 415. Jun remembered them: two young American men related to a wealthy businessman from Bejing. He looked up as the sedan rattled onto the ruts that constituted the Xinkai crematorium’s driveway. No fences or barbed wire; this was a public facility for both commercial and official business. The “execution grounds” were not labeled as such, but the patch of bare earth behind the chimney-topped building had always been used for that purpose. His colleagues had parked the two ambulances and the other sedan so that they faced away from the building’s back door. The assistant driving Jun’s car did the same. Smoking cigarettes, the orderlies and doctors waited outside with warehouse-type hand carts, ready to wheel the bodies into a small anteroom by the ovens. There, teams of burn specialists and ophthalmologists would harvest corneas and as much skin as had been ordered by the hospitals in Jianshi and nearby Bejing. They usually took fifteen minutes to process a corpse before turning its remains over to the crematorium workers. Shen Mutian and the other prisoner slated for kidney extraction would be handled in the ambulances because the urologists needed to rush the organs back for immediate transplantation. Getting out, Jun pulled on a pair of surgical gloves and, because hospital scrubs were forbidden on these expeditions, a butcher’s smock. His nostrils flared at the fresh scent of morning dew, which ironically promised springtime and new life. A uniformed policeman was already reaching into a paddy wagon and grabbing the first handcuffed prisoner by the shirt. Hobbled by ankle shackles, the bald man jumped to the ground, lost his balance, and fell. The cop stumbled and lost his hat. Cursing, he picked up the convict. This routine would be repeated each time a prisoner was brought out to be shot. The cop forced the bald man to kneel in the dirt. Off to the side stood five other policemen, one of whom stepped forward and drew a pistol. A court staffer wearing a business suit wrote on a clipboard. The executioner pulled up the prisoner’s sleeve to read Jun’s note. He cocked his pistol and placed the muzzle against the back of the bald man’s head. Still cuffed, the prisoner’s hands trembled. The execution commander raised a hand and then let it drop. The gun fired, and the prisoner pitched forward. He now had a star-shaped black welt at the back of his skull. His hands clenched once and relaxed. Two orderlies ran forward with a hand cart, picked up the prisoner by the armpits and ankles, and dropped him onto the flat metal bed. A bailiff removed both sets of restraints, then motioned for them to take the body away. 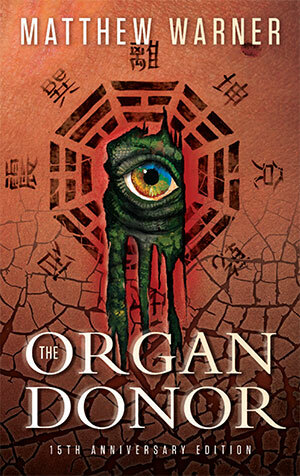 Jun sighed as the cart disappeared through the crematorium’s door. Hu Yunteng died two minutes later. Instead of a hand cart, Jun and Hao lifted the body onto a stretcher and carried him to the first ambulance, where another urologist beckoned for them to hurry. Hao climbed in with the body and closed the ambulance’s doors, leaving Jun to wait outside with a burn specialist named Zhang. Standing there in their street clothes, Jun thought they resembled men waiting to take their turns with a whore. Ten minutes later, the doors opened and Doctor Hao climbed out. Jun and Zhang got in, ignoring the urologist who crouched beside them packing kidneys into a cooler. As he closed the doors again, Jun was glad the bloodied, now-naked corpse lay face-down. He didn’t care to look at Hu’s face. The crack of gunfire sounded every few minutes as Jun and Zhang worked with tweezers, dermatomes and scalpels to remove long ribbons of flesh. They did eventually turn Hu onto his back because they needed the skin from his abdomen, but Jun still didn’t look the dead man in the face. When they emerged fifteen minutes later, all the prisoners except Shen Mutian had been executed and wheeled into the crematorium. “You’re slower than old men,” Hao said and jostled Jun as he climbed back in. Getting out, Jun shrugged and dropped his bloody rubber gloves onto the ground. The moment Hao closed the door, the ambulance sped off. Sighing, Jun helped Zhang retrieve a stretcher from the second ambulance. Two more urologists were already in there, preparing their instruments for Shen. He’d be glad when the day was over. Jun and Zhang took position a couple of meters from where the executioner now pushed Shen to his knees. Jun withdrew fresh gloves from his pocket and put them on as the executioner read the word “heart” on Shen’s arm. He was glad the prisoner’s back was to him; he didn’t want to look into those strange blue eyes again. Although the whole process of execution and organ harvest disgusted him, Jun realized that a small part of him would rejoice when Shen Mutian lay bleeding into the dust. Shen was someone special—that much was obvious—but Jun didn’t feel that was a good thing in this case. Perhaps Shen did deserve his sentence. . . . Well, it didn’t matter now who he was. Death reduced everyone to the same level, without exception. The executioner drew his pistol and took position facing the kneeling prisoner. The laughter stopped, and Shen’s back straightened. He swallowed—Jun was surprised to hear it from this far away—a thick, sloshing sound, like a horse. The commander grunted, perhaps realizing, like Jun, that he quoted from the Tao Te Ching, the signature text of Taoism. It was as if Shen were saying that he would not die—that death wasn’t the great equalizer after all. Or maybe he was just stating a belief in reincarnation. The commander raised an arm, and the shooter aimed pointblank at Shen’s heart. The arm dropped. Like all the other prisoners, Shen fell from the bullet and lay still. Jun sighed in relief. But he flinched when the body started to convulse. Blood flew from Shen’s lips in a gurgling cough. Jun helped carry it but could not take his eyes off Shen. Placing the stretcher on the ground next to the prisoner, he felt the need to urinate again. Zhang grabbed Shen’s ankles, then watched questioningly as Jun froze with his hands hovering over the shoulders as if he might get burned. And it—he—was settling down; the convulsions had stopped. Jun’s sense of reality returned. He helped lift the body onto the stretcher, and the bailiff removed the restraints. They hurried for the ambulance, and Jun breathed easier when he shut the body in with the two urologists. As Jun waited outside with Zhang and an ophthalmologist named Quan, the police lit up cigarettes and drove away in the paddy wagons. The commander and staffer strolled to their cars, chatting. The other surgical team emerged from the crematorium to put ice chests and cases of equipment into the vehicles. Blood now dotted their smocks. Jun said nothing to Zhang and Quan as they waited for the ambulance’s back doors to open again. He was already exhausted, and it was only ten a.m. When fifteen minutes had passed without any sound or motion from inside the ambulance, Jun stared at its doors. Bit his lip. The same regulations from the Public Health Ministry that forbade him to wear a doctor’s coat or display hospital insignias on these missions also required that the windows be tinted. His imagination wandered away again and visualized what now might be occurring: Shen sitting up, Shen laughing, Shen strangling the doctors with one hand around with each neck. The urologists came out. Shen lay face-down on the stretcher, prison clothes cut away and in shreds in a clear trash bag. Two huge openings yawned across the lower back where they had extracted the kidneys, with the bullet’s exit wound oozing above them. The kidneys had already been packed into their coolers. Situation normal. Doctor Quan got in. Jun relaxed and climbed in to help—but paused when one of the urologists told the commander: “Your man is a lousy shot.” The speaker removed his rubber gloves with shaking hands. The other urologist’s face was tight with concern. Jun felt for a pulse. Nothing. Quan put on a stethoscope. They turned Shen onto his back, and Jun saw that the blue eyes were open and fixed. Quan placed the instrument near the red-black bullet wound and listened. Shook his head. Jun wasn’t convinced, however. He took a pen light off the shelf, hesitated, and offered it to Quan. Quan returned to fussing with his tools. They both knew that checking for brain activity was superfluous; if Shen’s heart had stopped, then he’d met China’s legal definition of death. Jun shone the beam into Shen’s left eye anyway. The pupil contracted, then dilated when he took the light away. He did it again; the eye still reacted. In disbelief, he checked the other one and saw the same thing. Jun gaped at them. He turned to Quan, but the doctor’s face remained expressionless while he laid out his tools. Zhang got in and closed the door on the two officials. As they worked, Jun watched a bubble of blood expand at the corner of Shen’s mouth. When it broke, he told himself it was from the body being jostled. But soon another bubble rose and popped. “It’s like he’s breathing,” he said. Although not a general surgeon, Jun tackled the job of extracting the ulna bone from Shen’s right forearm. He hadn’t done this sort of thing since medical school; prison harvests were usually for corneas, kidneys, skin, and sometimes pancreases and heart valves. Knowing it was unlikely the surgeon would transplant the entire bone unless the recipient was an exact size match, he sliced through the bone’s connective tissues. When he was done, the ruined arm resembled a carved roast. But if you had seen his nails then, his mind whispered, they would have been short. Jun tried but failed to remember what Shen’s hands had looked like in the moments before execution, when they had been plainly visible to the doctors. He grimaced at the empty dirt lot as Zhang and Quan helped him dump Shen’s body onto a hand cart. “But we just can’t leave him out like that,” Jun said. Jun did so, and the ambulance lurched into motion. The driver phoned the hospital and told them to start anesthesia on the transplant recipients. Through the tinted back windows, Jun watched the hand cart bearing Shen’s body recede as they drove away, then lost sight of it as they turned for the access road. A second later, the cart came into view again, alone in the deserted lot behind the building. But the driver ignored him. Zhang looked up from where he was stowing equipment. “What is it?” He also looked out the windows, but the lot was no longer visible. Exhaling deeply, Jun slumped into his seat. “Nothing.” But the image of the hand cart remained in his mind’s eye.